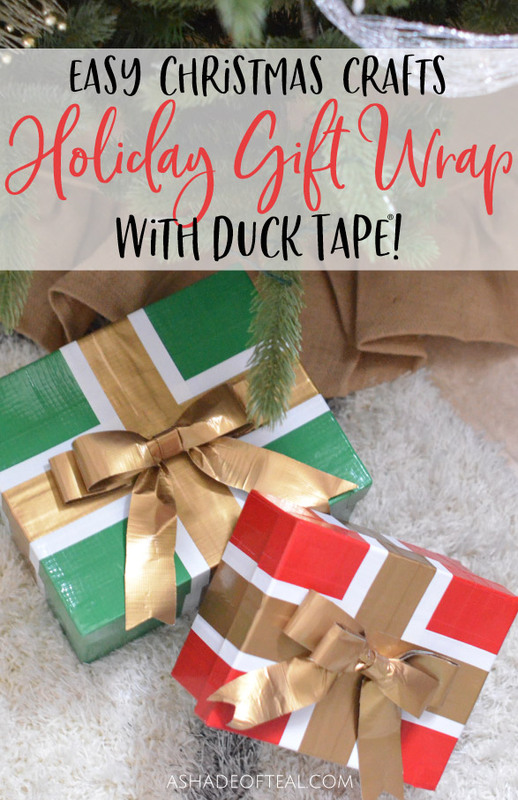 Holiday Gift Wrap with Duck Tape! 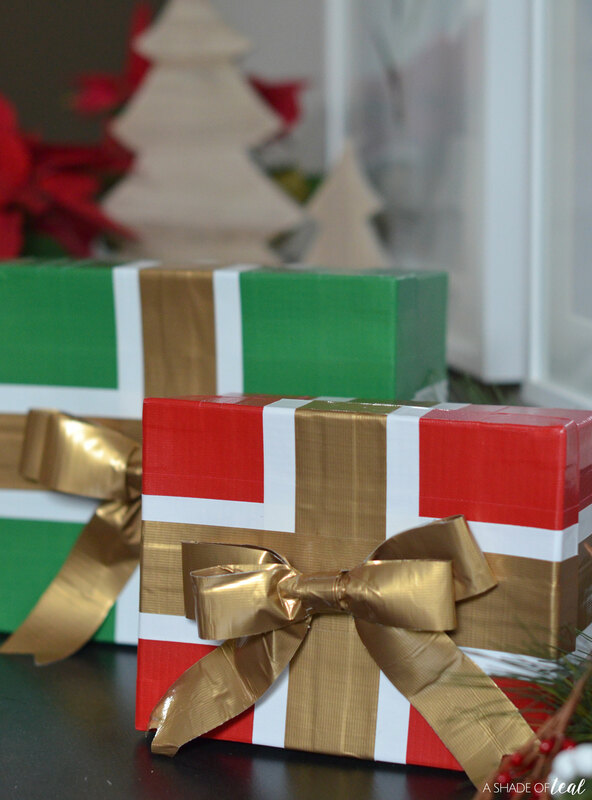 The holidays are the perfect time for crafts and this year I wanted to create a fun and easy project by making Holiday Gift Wrap with Duck Tape®! 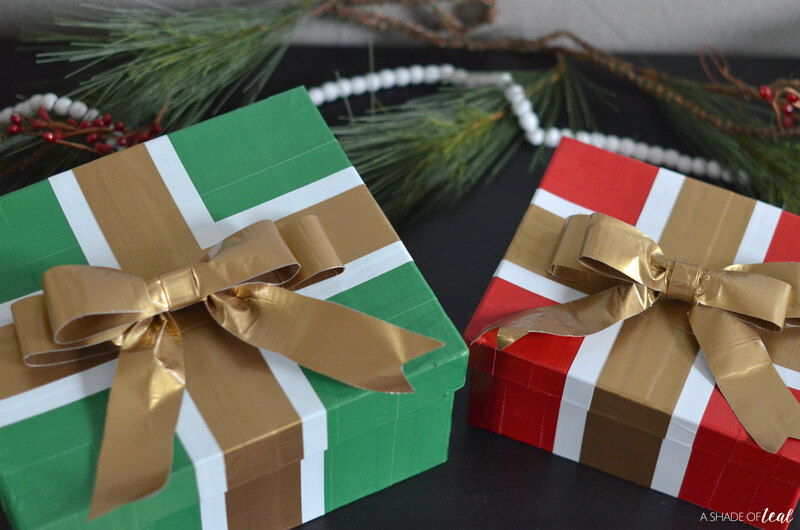 It’s a simple project that’s perfect for holiday decor and of course gifting. Every time I walk by a craft aisle at any store I have to stop and look. I love browsing and getting inspired. I also love looking at all the different colors Duck Tape® offers. The have so many options nowadays and the possibilities are endless. 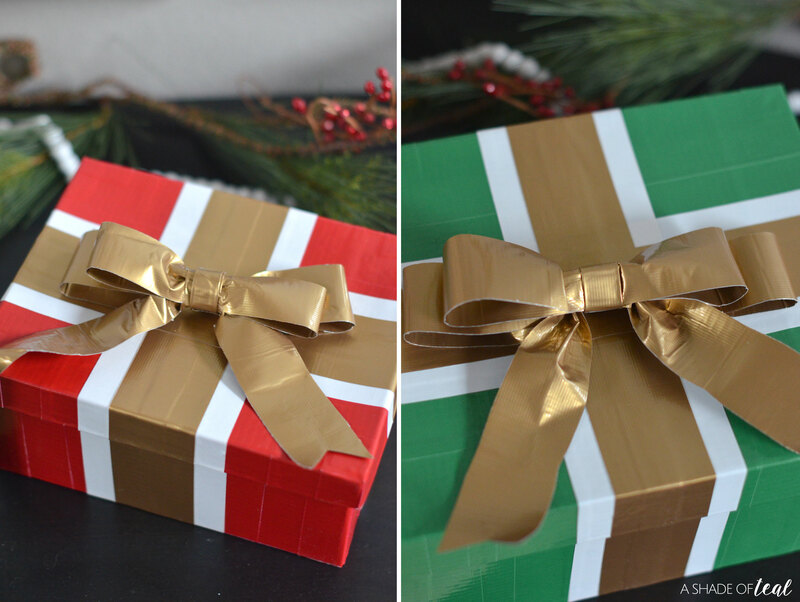 Since it’s Christmas time I figured I would finally use some fun colors and make gift wrap! 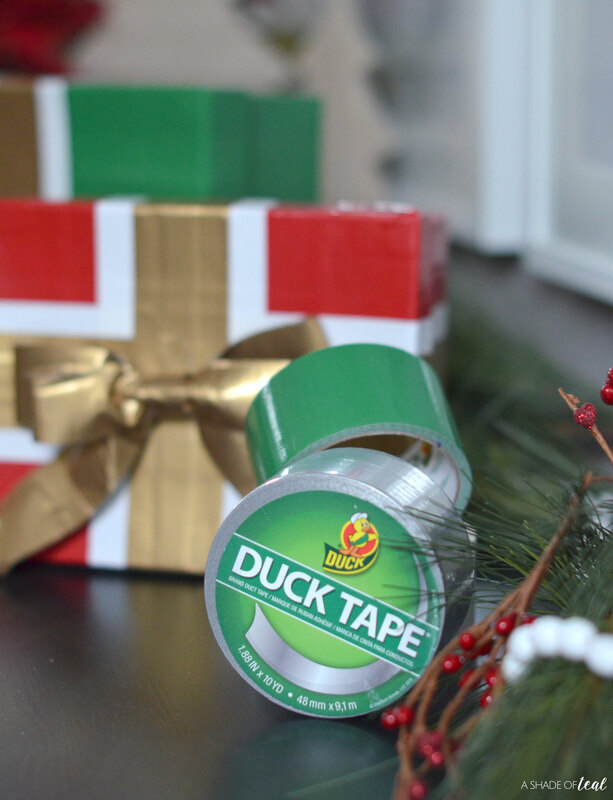 Duck® brand duct tape in various colors: green, red, white, and gold. 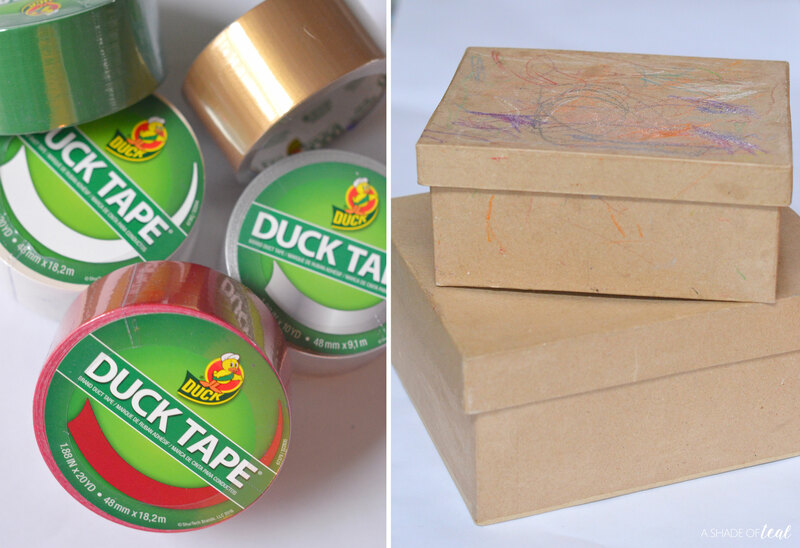 I love using Duck Tape® for craft projects since their quality is great. Boxes, I used old craft boxes I had on hand. Step 1: Start in 1 direction and start adding strips to cover the box. You’ll want to overlap the strips. Step 2: Next, wrap the corners. You’ll want to cut a strip that extends about 1″ on each side of the box. Then cut a slit on each side and wrap. Step 3: Start wrapping the box in the other direction, again overlapping the strips. Complete the same steps for the lid. 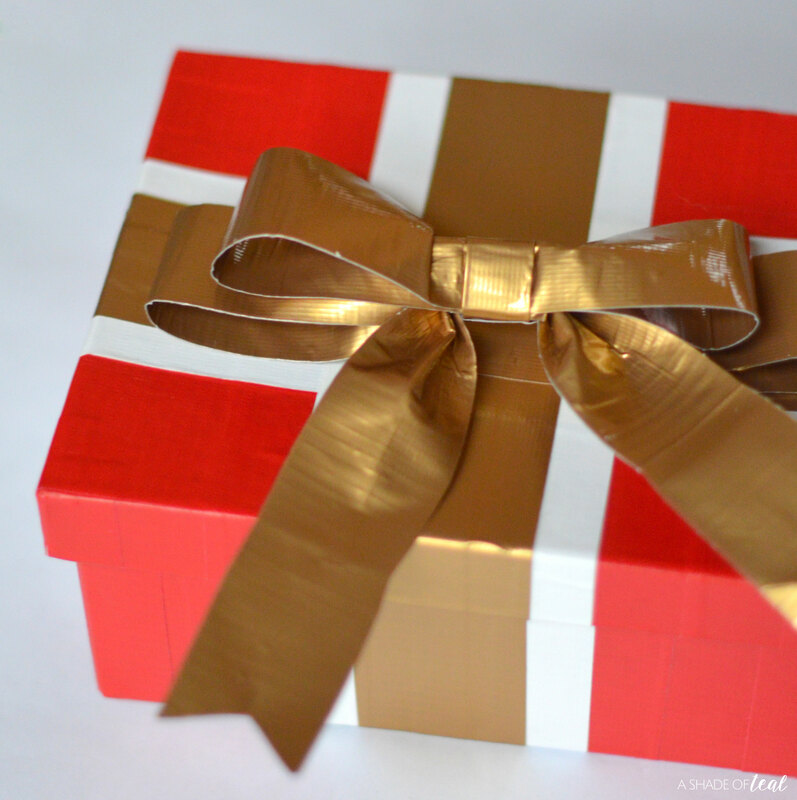 Step 4: Next, add 2 pieces of white Duck Tape® down the center on both the lid and box. Step 5: Then add 2 pieces in the other direction, again on the lid and box. Step 6: Finally, add gold Duck Tape® on top of the white in both directions. 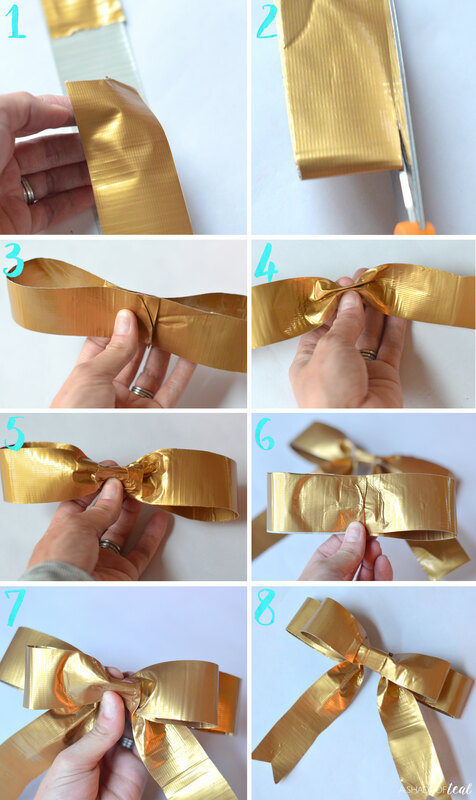 Step 1: Double up the gold Duck Tape® by sticking it to itself. This can be tricky, but it doesn’t have to be perfect. Make 3 pieces ranging from around 15″, 12″, and 10″ long. Step 2: Fold the pieces and trim the edges to make them more clean. Step 3: Start making the large loop. Step 4: Pinch the center. Step 5: Add a small piece of tape to secure it. Step 6: Make the small loop. Step 7: Next, add the ribbon strips over the large loop, followed by the small loop. Step 8: Finally, finish it off with a piece of tape and trim the ends. The last step is to attach the bow to the box with extra tape and it’s complete! 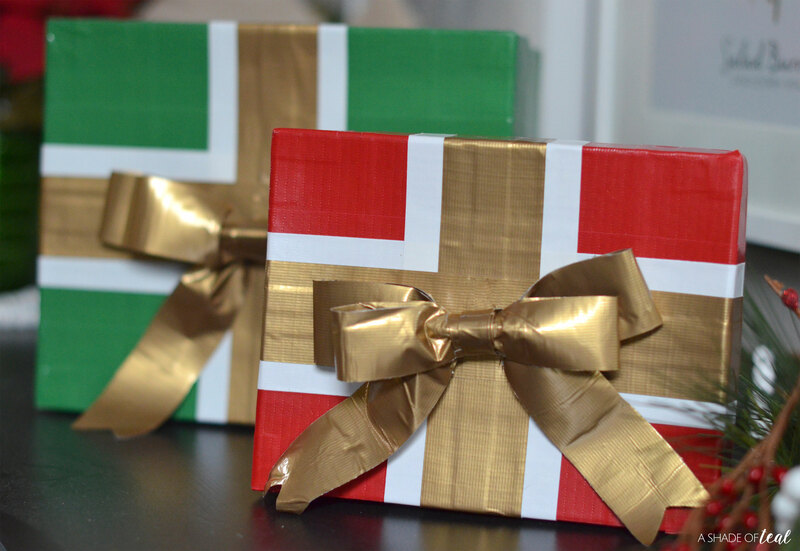 I also wrapped a second box using green Duck Tape®, here’s the after! What do you think? 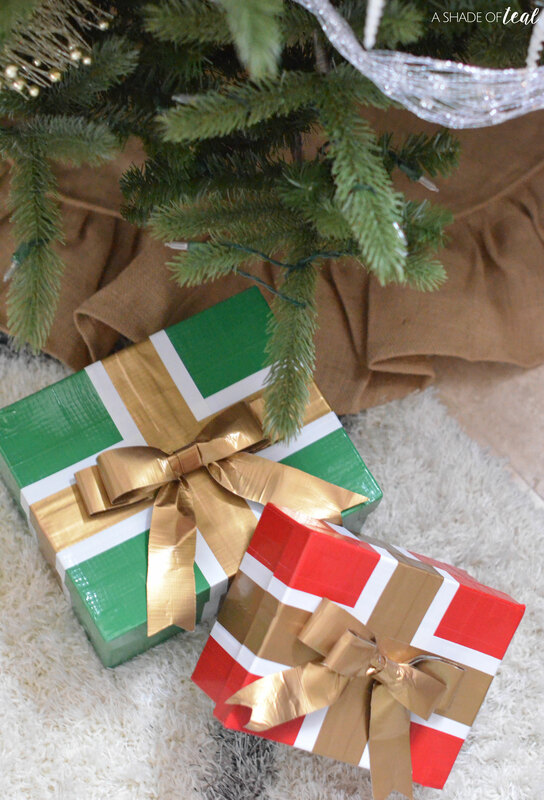 Doesn’t it look like the perfect Holiday gift wrap! This craft was a simple project anyone can do and it was so much fun. Click here >>> Color Duck Tape® <<< to check out all the different color options Duck Tape® has to offer.